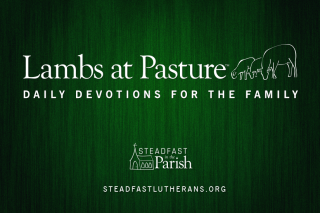 Home→Uncategorized→Does Your Pastor Dress as a Shepherd or a Sheep? Does Your Pastor Dress as a Shepherd or a Sheep? Work clothes and uniforms are signs or markers which speak of the vocation wherein we serve our neighbor. In a most delightful way the work clothes of the Boy Scouts or Girl Scouts bring a smile along with understanding. Seeing this uniform you understand said person is equipped to help in a most cheerful and thoughtful manner. It may be with knowledge accrued through merit badge advancement or those delightful cookies! Bring near to you Aaron … and his sons … to serve me as priests.… And you shall make holy garments for Aaron …, for glory and for beauty. You shall speak to all the skillful, whom I have filled with a spirit of skill, that they make Aaron’s garments to consecrate him for my priesthood. These are the garments that they shall make: a breastpiece, an ephod, a robe, a coat of checker work, a turban, and a sash (Ex 28:1-4). Following what our Lord has given in the Old Testament, our Lutheran Confessions say: “We keep traditional liturgical forms, such as the order of the lessons, prayers, vestments, etc.” Liturgical Christians have kept some semblance of work clothes or uniform that mark that the attired individual is a bearer of the Gospel of Jesus Christ. The pastor may wear at least some of the outward marks of his office and order—Walther suggests as a minimum the beffchen (in contemporary terms, a clerical collar) to remind the people and himself that he does not come in his own name or with his own expert word and gifts. By his dress and manner the pastor presents himself as the servant of another. He speaks a word and does a work given him by the Lord. We all agree (I hope) that it would be inappropriate for a pastor to conduct the Divine Service wearing the uniform of a fire fighter. This vocation is laudable but the service of fighting fires is not what the Divine Service is about! (However, there is a pun in fighting fires in Baptism J). Should your pastor’s attire on Sunday morning be the scrubs of a nurse that too would give the wrong message for it is a marker, a signifier pointing people to different gifts—would it not? In its proper place such work clothes speak of a most noble and virtuous vocation. The same could be said regarding the uniform of police, EMT, a judge, etc. Now, to respectfully drive home the point would it be acceptable for the pastor to lead the Divine Service dressed in the work clothes of a Muslim Imam or a Jewish Rabbi? No, not at all for such uniforms speak of service that comes from the Koran or from the Talmud and this is not what the Church of the first-born (Heb 12:23) is about. Then why do some Lutherans find it acceptable when their pastors wear a suit and tie on Sunday morning when they lead the Divine Service? I will not even address those in loafers and khakis with a cup of Joe in their hand studiously trying to pass themselves off as casual. A suite and tie are the work clothes for a business person who makes money and runs a business which is a laudable vocation. But this is not the calling of the church. So why then do some clergy adorn themselves in this manner and the baptized find this attire acceptable? This form of pastoral attire comes not from Lutheranism. At the time of the Reformation Andreas Karlstadt departed from Luther’s Reformation and with his non-Biblical theology along-came non-churchly attire. These two departures are related! Perhaps the motivation is that a perspective new member might not understand or appreciate the significance and beauty of such work clothes. That is where teaching comes in and what a gift it is! It may be that a young person does not know what the blue uniform affixed with shiny badge symbolizes. Mom and dad will then take the time to explain to their young child that such a uniform says, “I am here to help and serve you!” That is a beautiful teaching moment. You may recall a time when in a hospital looking for assistance for a loved one. Your brows are furrowed in concern. You have been taught to search for someone in medical work clothes to assist you. And then, down the corridor you see one dressed not as a patient but as a member of the medical community and peace enters your heart. Her uniform says she is here to serve you in healing and comfort. Our churches teach that ceremonies ought to be observed that may be observed without sin. Also, ceremonies and other practices that are profitable for tranquility and good order in the Church (in particular, holy days, festivals, and the like) ought to be observed. The Sacrament is offered to those who wish to use it, after they have been examined and absolved. And the usual public ceremonies are observed, the series of lessons, of prayers, vestments, and other such things. People are pleased when medical personnel wear attire befitting their office rather than the attire of a patient. Individuals in need are reassured when law enforcement is clothed in a uniform that bespeaks their office rather than dressed as citizenry. And sheep are comforted when the Pastor dresses as a Shepherd rather than a sheep. Vestments and uniforms are designed to minimize the personality of the individual and extol the public office of service! “Lutheran pastors wear robes and vestments and collars to symbolize that this human being—no different in himself from his parishioners—is clothed in an office, in which he must act in the stead and the command of Christ.” These work clothes bring joy to the heart to those who seek forgiveness of their sins. In has been attested by many a Pastor or Roman Priest that such a uniform opens doors in hospitals and receives polite nods in public. In times of crises when comfort from Jesus is in order people scan the crowd looking for such message. 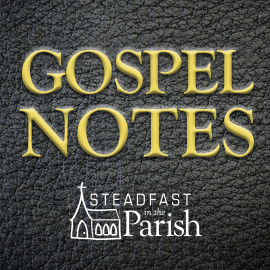 May we never be ashamed of the Gospel (Rom 1:16) and work clothes that proclaim the Gospel(!) that such an office holder is present to bring Jesus’ mercy and comfort to people who are in need. Norbert Mueller and George Kraus, co. eds., Pastoral Theology (St. Louis, MO. : Concordia Publishing House, 1990), 106. James M. Kittelson, Luther: The Reformer, The Story of the Man and His Career (Minneapolis: Augsburg, 1986), p. 182. “Augsburg Confession, Article XV, Church Ceremonies,” in Concordia: The Lutheran Confessions, 2nd edition, gen. ed., Paul T. McCain (St. Louis: Concordia Publishing House, 2005): 39; AC XV:1. “Apology of the Augsburg Confession, Article XXIV, The Mass,” in Concordia: The Lutheran Confessions, 2nd edition, gen. ed., Paul T. McCain (St. Louis: Concordia Publishing House, 2005): 220; AP XXIV:1. Martin Luther, “Liturgy and Hymns,” Luther’s Works, American Edition, 55 volumes, edited by J. Pelikan and H. T. Lehmann (St. Louis: Concordia and Philadelphia: Fortress, 1955-1986), 53:48. Gene Veith, The Spirituality of the Cross, revised edition (St. Louis: Concordia Publishing House, 2010), 110. One thing that must be clear is that it is a necessity for the pastor to wear the proper attire for worship services. What a pastor wears during the week is not as important. Hammer of God is great on this topic even though I think he disagrees with my second sentence. Entrepreneurially infuse seeker-sensitive worship plans.